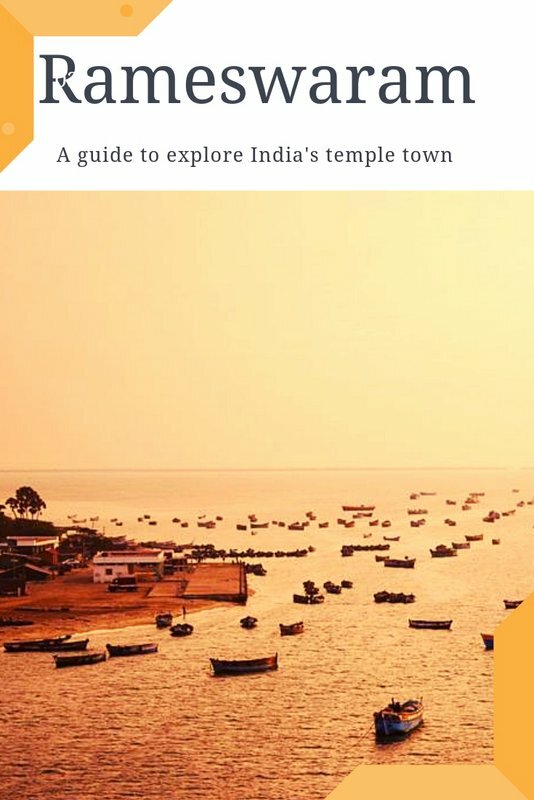 About the blog: A plethora of activities await you at the ancient temple town Rameswaram (otherwise known as Pamban island) beside visiting the famous Ramanathaswamy Temple, one of the sacrosanct Char Dhams of Hindu pimgrims. 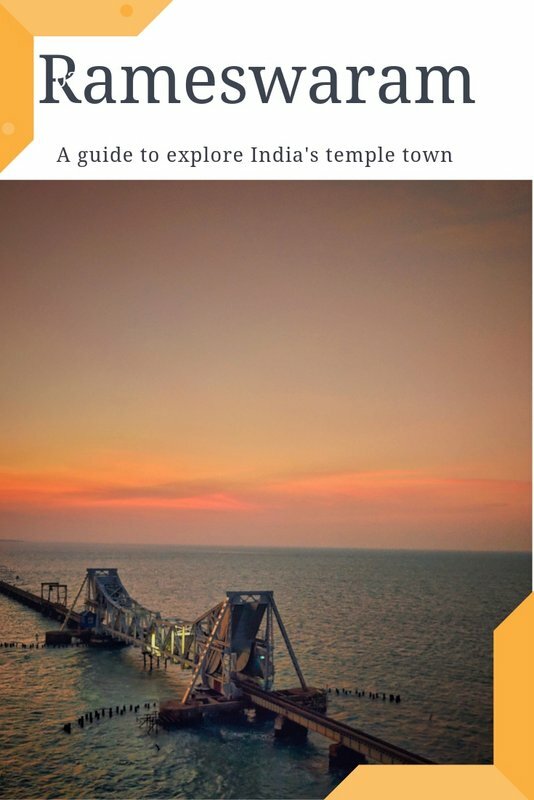 In this travel guide, I try to answer frequent questions like things to do at Rameswaram, where to eat at Rameswaram etc. 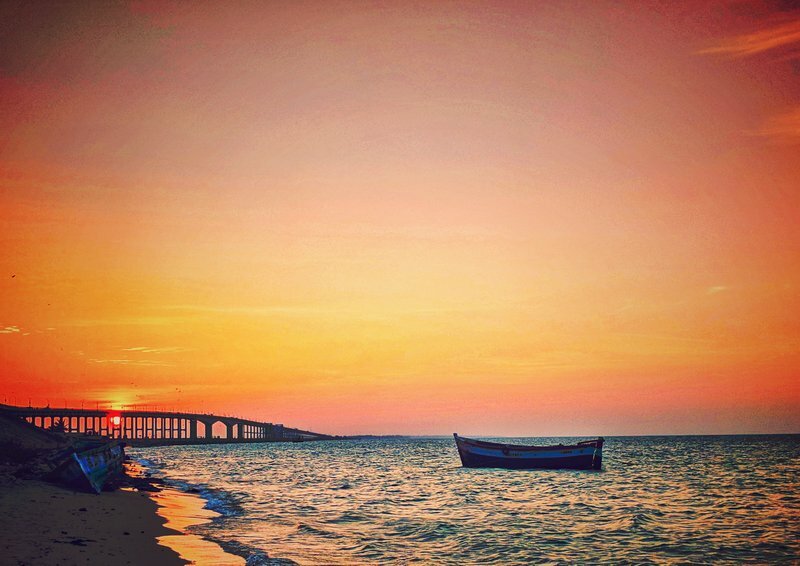 Rameswaram can also be visited as a quick weekend trip from Bangalore and Chennai. 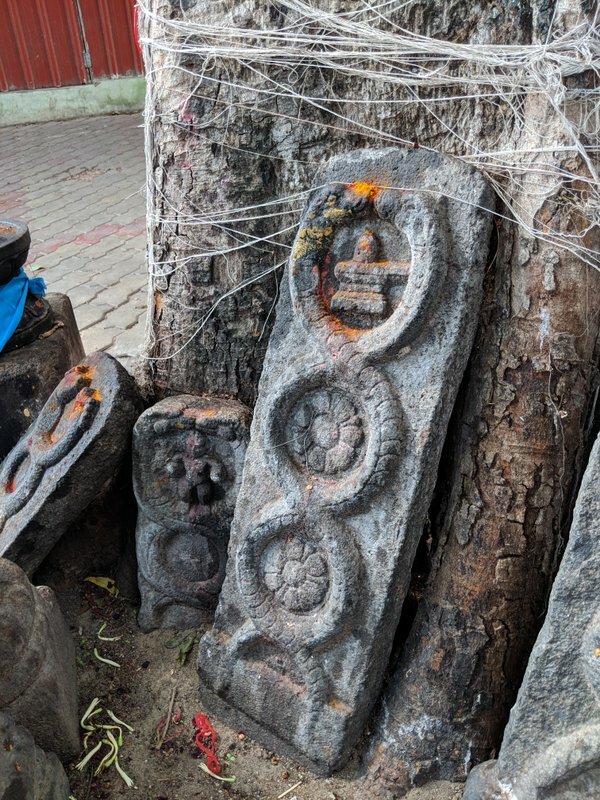 Long back in the days of Puranas and Shastras, when Instagram was not even conceived, forget making a compelling travelling dictate on prevailing generation, common men of Bharatbarsha would follow the sacred paths that led to temples. “Tirthajatra” or pilgrimage as they would define. The motto was to meet God, bathe in holy water and make way for Moksha. Copious amount of religious text have documented the intellectual discourse that took place in these travels. Take for example, Rameswaram, literally meaning Ram’s Iswar (God). The place holds immense importance in the epic Ramyana. 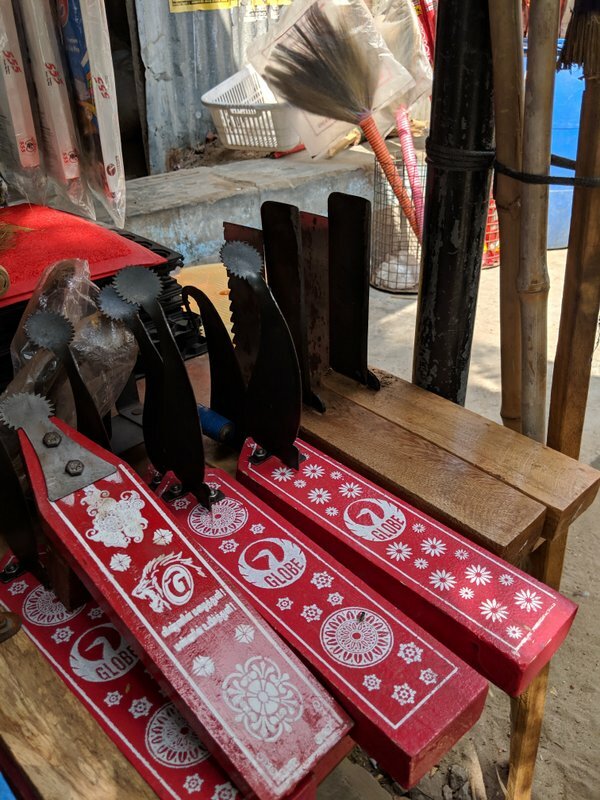 The political upveal between Bharat and Lanka (using the past named of India and Sri Lanka) and ensuing war, bloodbath, victory and its socio political implications have long been part of age old local folklores. 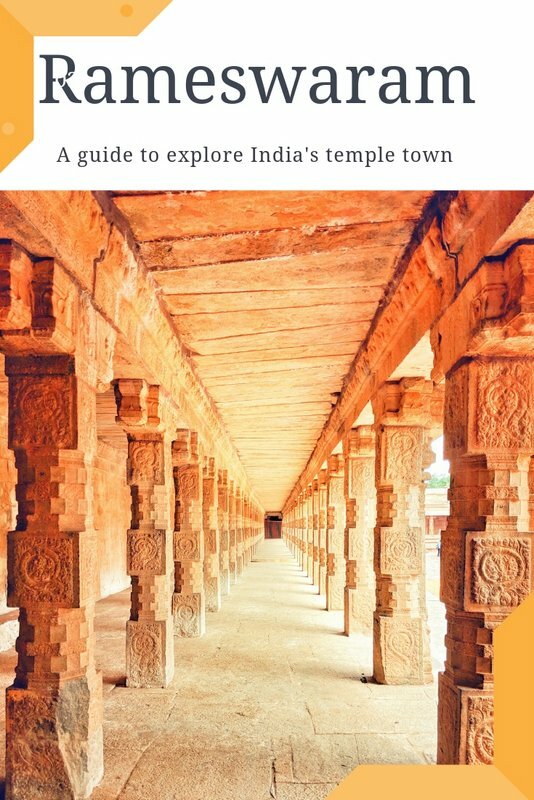 A large part of India’s ancient history is lost in the stones and pillars of temples. Rameswaram shines prominently on Hindu pilgrimage map from the southern state Tamilnadu. It is situated at Pamban island, often referred to as the Rameswaram Island. 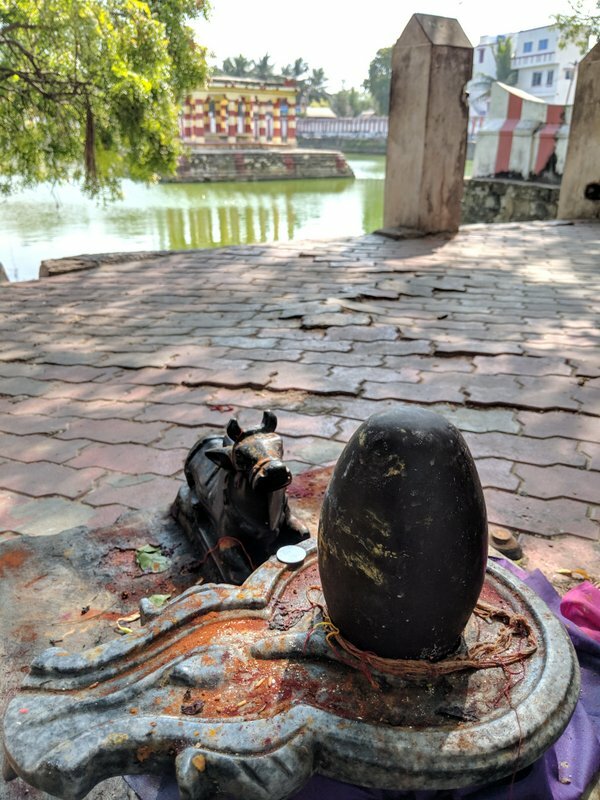 Being one of the sacred places for Hindus, the island is well connected with the rest of the country. The nearest airport is at Madurai, a 3 hours road trip. The yellow painted state transport bus plies regularly between Madurai and Rameswaram. You can further explore South India, proceed to Kanyakumarika or explore the Great Living Chola temples of Thanjavur from Rameswaram. 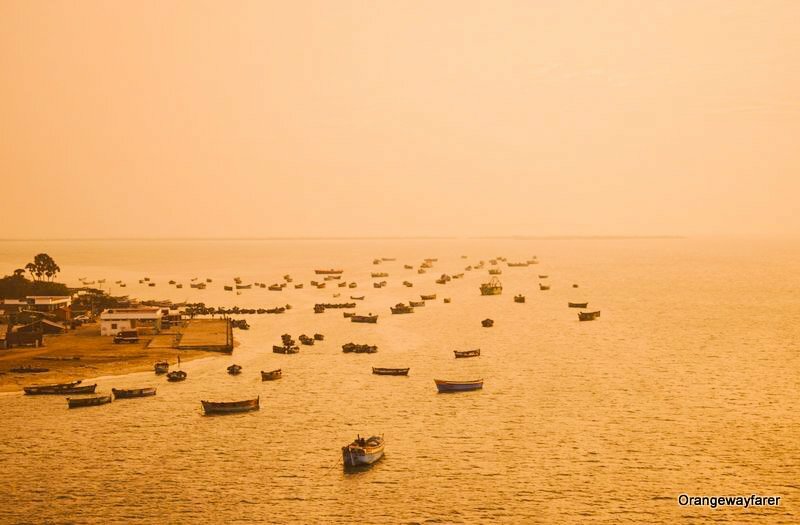 If the fact Rameswaram being an important religious site intimidates you, hold your thoughts and repeat after me, Rameswaram offers spectacular scenic beauty alongside warm hospitality of the locals. I was skeptical before this trip for many reasons. The language barrier, the “boring meals” only with Dosai, a dreadful thought of queueing up in front of the temple and hassling with Pandas, willing to mediate between self and the God (not that I believe), scrace information on local mode of transport present online and many more steriotypes came flooding in my mind. I took a night bus to Rameswaram from Bangalore with SRS Travels. With mild air conditioning, nice road and a few stops to accommodate passengers’ call for nature, it was a decent ride. I woke up to a spectacular sunrise showering gentle rays in abundance on the line of palm trees dotting Tamilnadu’s horizon! Soon after, we crossed Pamban bridge. The azure blue shades of sea instantly elevated my soul! And thus, I fell in love with Rameswaram! 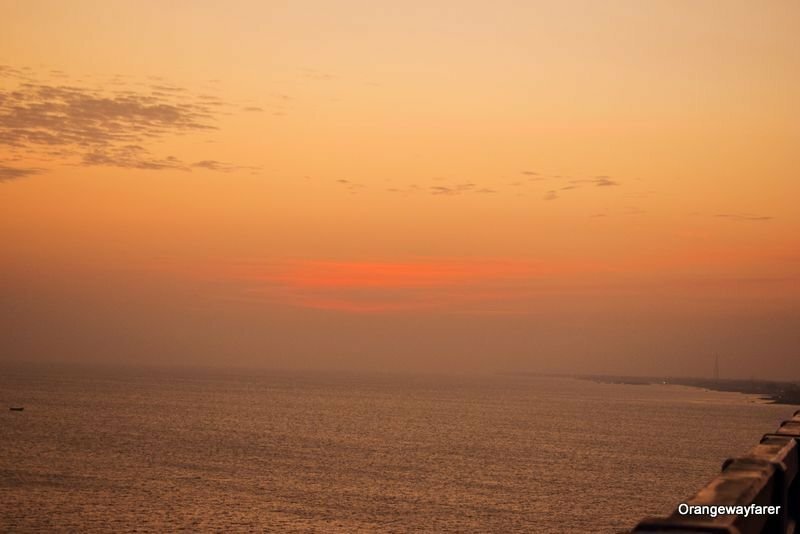 My savvy urban mind took time to get accustomed to the vibe of Rameswaram. True, plenty of pilgrims come here. The good old Dharmashalas or Mathas (Hostels set up by committees with the religious association) reluctantly share their wall with swanky new hotels. The profound Gopuram(entry to the temples, a distinctive temple style of South India) shines in soothing yellow ochre from afar, pointing your way. Yet, Rameswaram felt far from touristy. The local way of living is very evident. Local markets sell small portion of rasam vegetables in a basket. Fishing folks use local transport with their cane basket. The strong smell of fish makes the public bus transcend into a (Kolkata) fish market! A father carries his child near the Pamban bridge on a cycle, stand on the Indira Gandhi bridge and explain history. I overhear their conversation without shame! A women entry allowed only evening bus brings school children home. Girls onboard have their hair tied carefully, a few jasmines tucked in with love! It was easy to fall for Rameswaram! However, I did not just people-watch. I did visit the landmarks of Rameswaram and felt elated almost everywhere. Here is a list of the thing you should consider doing (in the order which I did them) at Rameswaram. 1. Have those hearty Tamil meals three times a day! I take my meal very seriously, especially during travels. For me, it encompasses a major part of an immerssive experience from the trip. I started the day with a hearty breakfast from the Jain Atithishala. It was located a few steps ahead on the opposite side of Rama Tirtham. 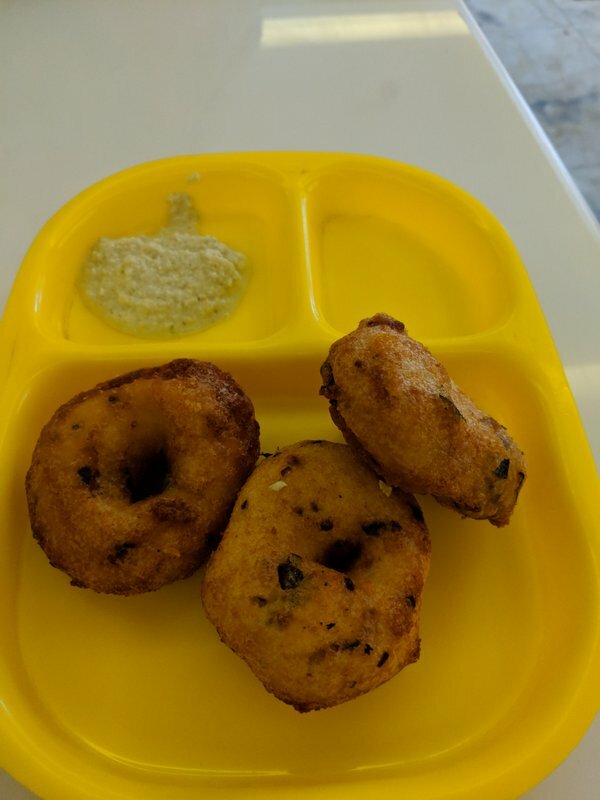 The crispy Medu vada exploded on my taste buds with each of those subtle bites on the spice packed affair! 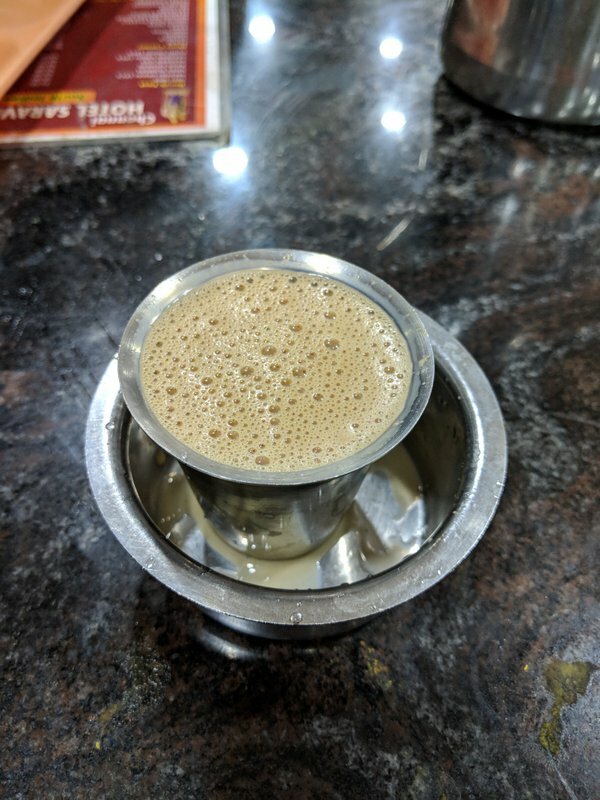 Along came a bowl of coconut chutney and a strong cup of filter kapi (or was it Chai?). I lunched at a shack at Dhanushkodi (near old railway station) with a fried mackerel. I found locals being served a meal of rice and rasam and fish curry, neatly contained on green banana leaf (how pretty they look, really?). However, the dinner at Murugan mess won over my heart. It is a small hole in the wall kind of a place. you enter keeping your shoes outside. You clean your banana leaf (which is the plate) with water. You wash your hands. And you shall be served food! 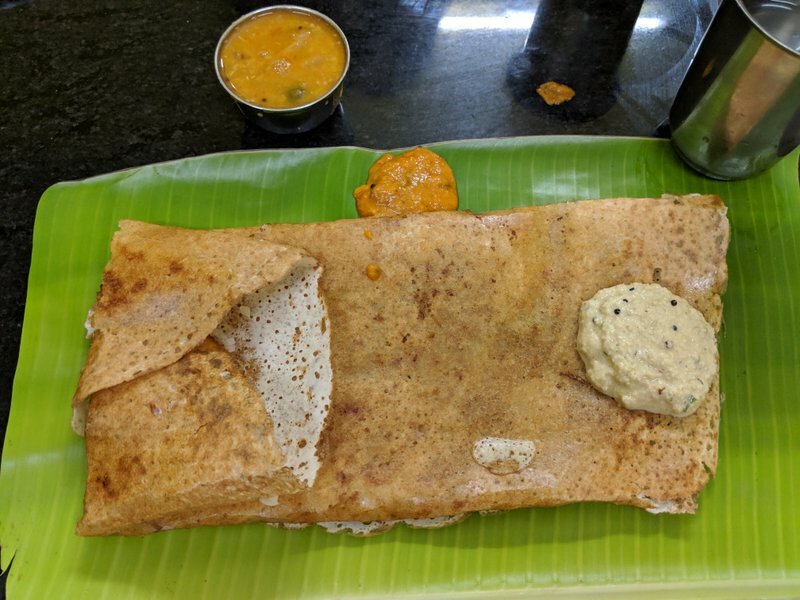 Plain Ghee Dosa and uttapam were part of my dinner menu. A local ice cream brand named Arun (literally meaning, Sun) makes amazing ice cream. Do try their cassata sometime! I relied heavily on Google map while wayfaring around Rameswaram. Plenty of times, google highlighted Theerthams enroute. these are basically water tanks, or wells, considered holi. A dip in them will bring you closer to Moksha! They are named after eminent names of Hindu mythology. I visited Rama Theertham, the closest one to the hotel. A Gujrati Samiti was performing “Namkirton” by its side. It looked like a pond, very clean. The water was green. I did not find anyone taking bath in it. There are around 64 Theerthams near Rameswaram, with 22 of them being inside the temple complex. It is a part of the pilgrimage to take a dip in all the Theerthams. And, you need a guide to help you do that. The Theerthams are basically water tanks or wells, considered holy and free of salinity of water. Each Theertham has a legend associated with it. 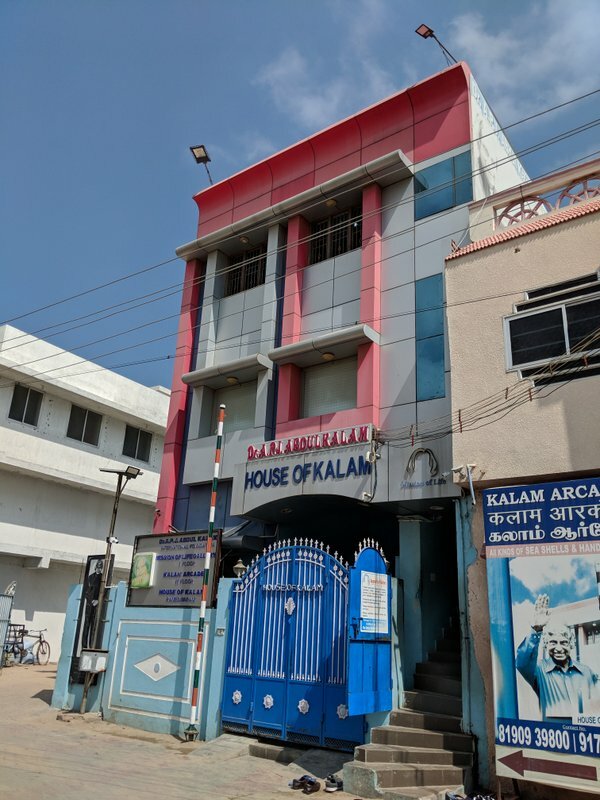 Late president of India, Abdul Kalam Azad was born and raised at Rameswaram. His humble house stands at the Mosque street, now converted into a museum and maintained by his family members. Also known as the Missile man of India, Dr. Kalam’s contribution to India’s defence security is enormous. Among innureble numebr of medals and honours, I could spot a replica of Bharat ratna, India’s highest civilian award. In the memory of the most beloved president of India, a Kalam Memorial monument also stands on Rameswaram-Dhanushkodi road. It is open from 10 AM to 6 PM. I rushed to Pamban bridge for sunset and had to make do with a hurried glance from outside. To be honest, I expected Dhanushkodi to be the highlight of the trip. This abandoned ghost town, wiped up by the Rameswaram Cyclone of 1964, stands at the confluence of Bay of bengal and Indian ocean. Access is restricted at Dhanushkodi. Nature makes it wrath felt sheerly. And Dhanushkodi left me bewildered. I walked miles under a scoraching sun, got lost at the backwaters, felt as little as an ant in front of the universe and yet could not get enough of Dhanushkodi. 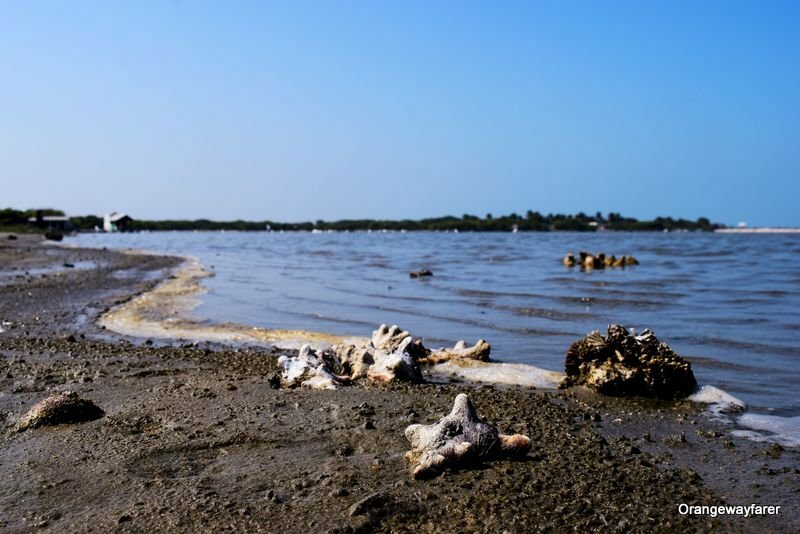 If you are a nature’s moonstuck child, prioritise Dhanushkodi. 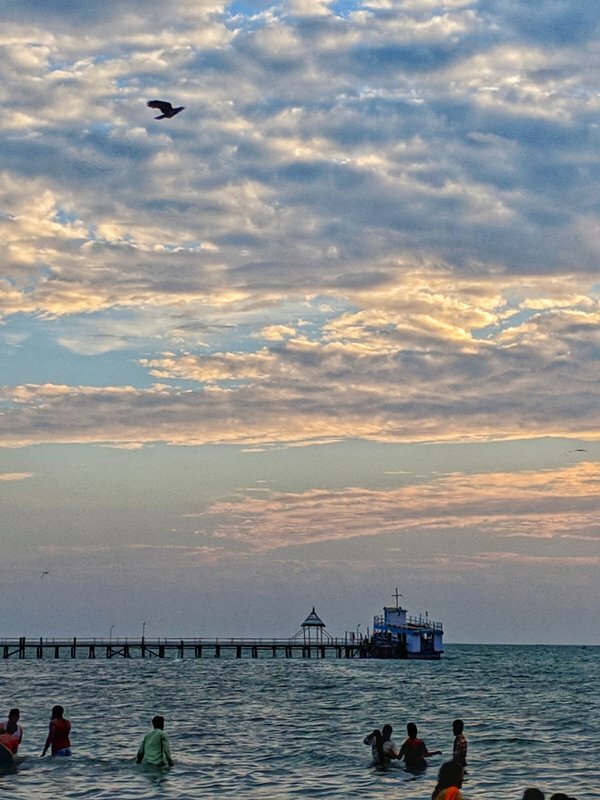 These days, there is a long stretch of road connecting the tip of the island with Pamban Island and it remains on top of the water level for the better part of the year. A government bus runs at an interval of 30 minutes. Enroute Dhanushkodi, a road divulges towards Kothandaramar Temple, a shrine dedicated to Ram. A resplendent nature welcomes you to the historic site that survived the catastrophe of the Rameswaram Cyclone. 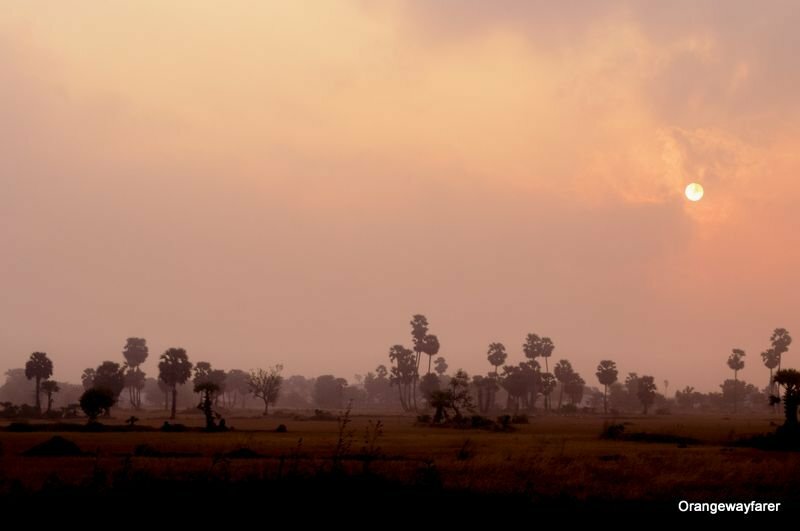 Mythology suggests it is where Bhibishana was crowned as the king of Lanka! The century old legendery Pamban bridge, once the sole connecting point between the world and Pamban island, was going through scheduled maintenance work when I visited. I could not take the passenger train ride. I have heard rave reviews of how the train runs close to water level, how dangerously it shakes, making reference to the ever fleeting human existence, how waves come gushing inside the train compartment! All I saw was a couple of men walking on the bridge, checking wires. It lit up as the Sun went down. 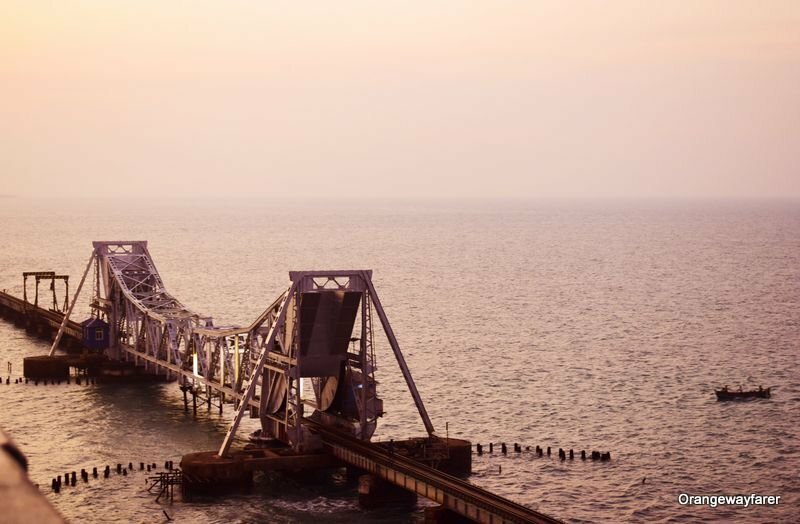 Pamban bridge was made by the British. It is one of the few double-leaf bascule brdiges in the world. Once in a fullmoon, it opens up midway to make passage from ships. The recently constructed Pamban Road bridge, also known as Annai Indira Gandhi Road Bridge, lets you stand on top and take a lingering glance at the century-old Pamban Railway bridge. Besides, the place also makes for a stunning sunset view! The sea is set of fine at Pamban Island! It was the Shahrukh Khan starrer Bollywood movie Chennai express that first introduced me to the pimgrim sight by the sea, Agni Theertham. He wore a Mundu and walked into the waves, with a Asthi Patra on his hand and slowly poured it over the sea. Until then, I only knew about Puri. Agni Theertham popularly refers to the stretch of beach that lies at the entrance of Ramanathaswamy Temple Bay of Bengal kiss the yellow sand where the sea is comparatively calm, making it ideal for believers taking a dip, hoping for … I am not sure what… However, the place is full of good vibes. I visited Agni Theertham at around 6 am and Patted myself for making a correct decision. It was busy compared to the standard of a regular locality/beach however it is indicative of the footfalls during the peak hours of the day! Next to Agni Teertham, the temple of Ramanathaswamy Temple stands at a brisk walking distance. The road is full of sadhus and destitutes. And cows. Though they are lesser in number compared to Varanasi! Ramanathaswamy Temple is open to one and all. For security, you are not allowed to carry any camera or Mobile or purse inside. There are plenty of government cloakrooms outside. Lock your valuables there. 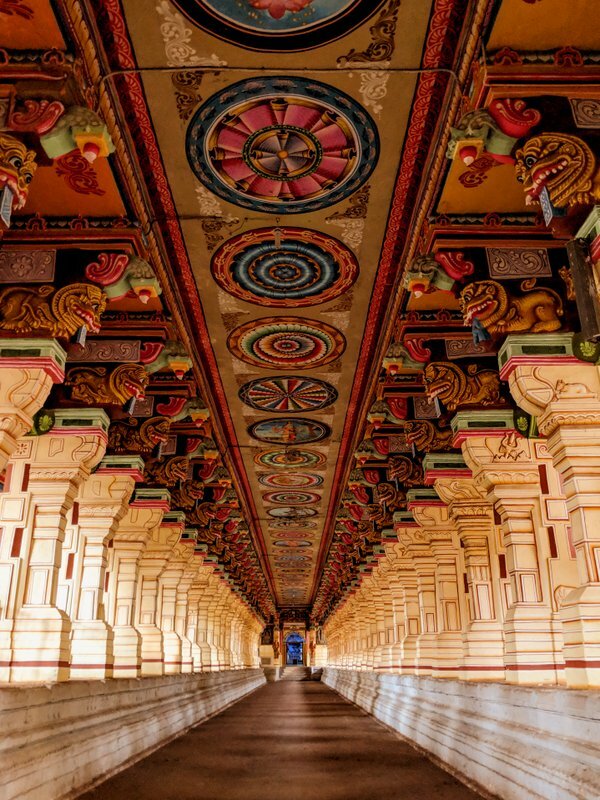 The very famous thousand pillared hall of Ramanathaswamy Temple, it is beautifully painted. The temple is one of the 12 Jyotirlingas of India. In case you are planning to take a dip in the Theerthams inside, carry a dry cloth in a small purse. Everything will be checked at the entrance. As I was going through the security check, I found the temple elephant walking straight out of the entrance door. It is a part of the morning ritual that it circles the temple compund. It is pitch black in clor, huge and its forehead is decked up with sandalwood paste. A Bramhin priest was sitting on top of it! It was a regal sight to say the least! Inside the temple stood the famed 1000 pillared hall. It has been painted in recent times. Guides did approach me however it is not mandatory to take a guide along. Besides, I did not take any dip into the water tanks. Neither I offered any worship in the traditional sense. I have heard for an immersive Puja experience, you should have a guide along. My next destination was the grand living Chola temples of Thanjavour, tamilnadu, which also happens to be a UNESCO Heritage sight! I skipped rest of the temple hoppin. However, if you are keen you can visit the following temples at Rameswaram. More or less, every temple at Rameswaram refers to a mythological connection to Ramayana. Beyond the temples, there is Ariyaman Beach at Rameswaram which is a decent place to enjoy the sea waves. Got any suggestion for any interesting activity at Rameswaram? Feel free to share your thoughts in the comment section!